NGA's preferred choice: Some see new life for north St. Louis, others the loss of their homes. The deal is not done, but St. Louis and Missouri officials are basking in a win. That’s after National Geospatial-Intelligence Agency director Robert Cardillo told St. Louis Mayor Francis Slay late Thursday afternoon that north St. Louis is his preferred location for a new $1.75 billion facility. "Yesterday was without question one of the best phone calls I’ve ever received as mayor," Slay said. The mayor was joined by Sen. Roy Blunt, R-Mo. ; U.S. Rep. William Lacy Clay, D-University City; Missouri Gov. Jay Nixon and other state and local officials at a news conference Friday morning. St. Louis Alderman Tammika Hubbard, Comptroller Darlene Green and St. Louis County Executive Steve Stenger worked together to keep the NGA in St. Louis. Nixon touted the bipartisan effort to keep the NGA in St. Louis, where it’s been located for 72 years, along with its 3,100 employees. St. Louis County Executive Steve Stenger threw his support to the city despite having two locations in the county. "Some people might have thought we were underdogs," Nixon said. "We had three sites in the finals in Missouri, and what did we do? We came together and in some ways chose what some people might think of as the most difficult site." The nearly 100-acre location just north of the former Pruitt-Igoe housing complex has presented challenges, compared to the 182 acres of farmland in St. Clair County, the city’s biggest competition for the NGA facility. Although much of the urban land is vacant, it’s still home to about 200 residents and a handful of businesses. Considered a blighted area, it’s part of several federal designations, including the Promise Zone. 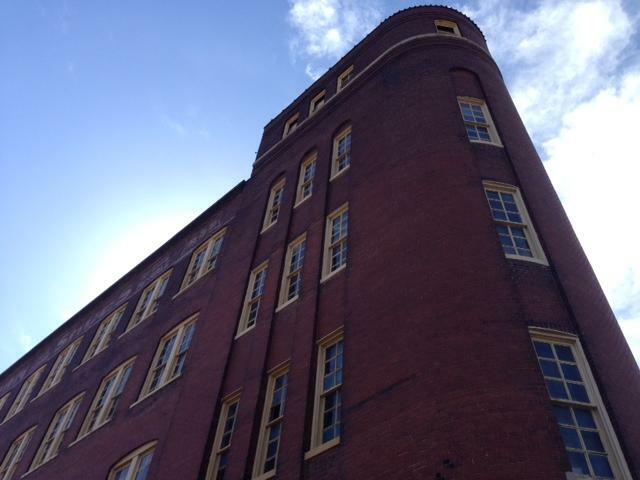 Officials say the NGA’s facility will spur redevelopment and transform the area. Clay said it would be the biggest injection of federal money into St. Louis in the shadow of what had been a great federal failure, Pruitt-Igoe. Clay dismissed talk that the facility will uproot a neighborhood. "There’s no more neighborhood," he said. "It takes neighbors to actually have a neighborhood." Ida Mobley, center, who has lived at her house on Mullanphy Street for 47 years, leads neighbors and supporters in a prayer during a neighborhood picnic on Mullanphy and 23rd Street on Friday afternoon. On Friday afternoon people gathered outside Sheila Rendon’s home on Mullanphy Street for a barbecue. Despite music playing from large speakers, the mood was somber. "The community was never taken seriously," Rendon said. "We’ve been brushed off by our government. For people who have been here for decades, that’s the thanks they get." Ida Mobley and Joyce Cooks, who have each lived in their homes for more than four decades, embrace during a neighborhood picnic on Friday afternoon. Both of their homes are in the future NGA footprint. Rendon’s husband, Gustavo, and friend Larry Chapman ended a fast that began Feb. 26 to bring attention to the neighborhood’s plight. The Rendons are refusing to sell the home that’s been in her family since the early 1960s to the city. They’re included in the city’s eminent domain lawsuit. "This is my heritage. This is my inheritance," Sheila Rendon said. "Ever since I was 15, my parents told me and my brothers and sisters that the house should stay in the family." Yet while some residents have lived within this nine-block area for decades, the largest landowner in the neighborhood is Paul McKee. Paul and Midge McKee talk with the Rev. Earl Nance. The developer brought the site to the NGA’s attention. The Northside Regeneration developer said Friday he was thrilled the agency will likely land here. "It’s unbelievable. It’s a great day," he said. McKee said the federal agency will mean demand for food, gas, and housing in the area. He said the federal agency will be the anchor his massive redevelopment project has always needed. "To be blessed with a $1.75 billion anchor is beyond all expectations," he said. The developer said the announcement will make an immediate impact on his plans, giving banks and businesses the confidence to invest in the area. Last week McKee announced a new grocery store and gas station just a few blocks from the proposed NGA site. Now he said it's just a matter of getting the final NGA decision in favor of north city. That's expected in late May. Federal, state and local officials are celebrating the news that the federal government has picked a site in north St. Louis for an expansion of the National Geospatial Intelligence Agency. 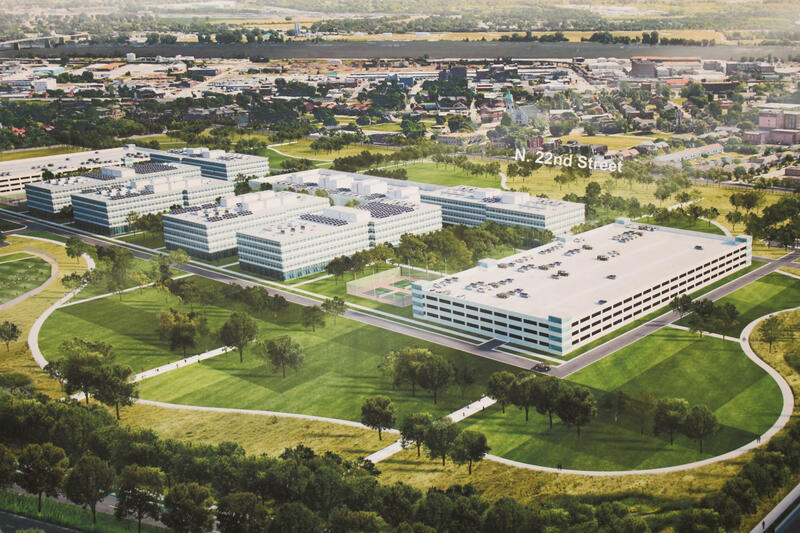 The likely winner of the National Geospatial Intelligence Agency's new facility will be made public this week. 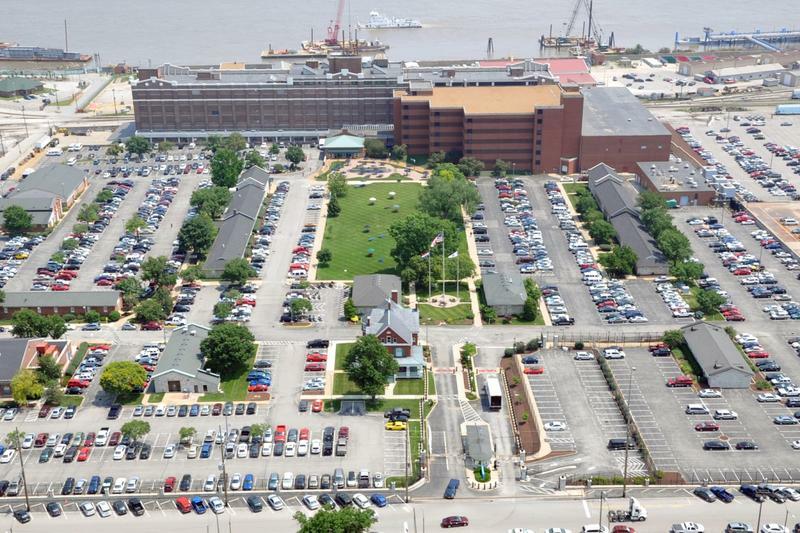 A report from the U.S. Army Corps of Engineers Friday will include the preferred location for the NGA's new west headquarters.